If you’re constantly on the go, your laptop might connect to a number of networks located at different places. 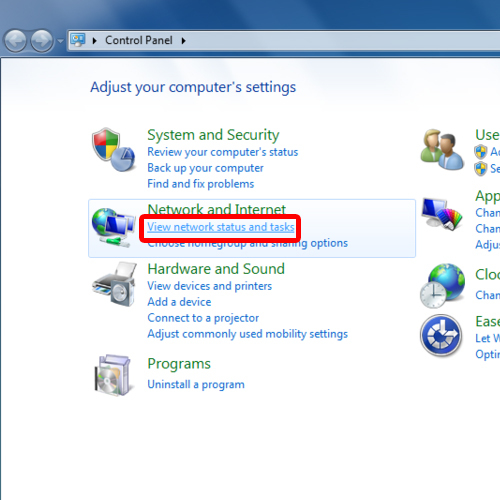 To better manage the network profiles in your computer, it’s always a good idea to remove or delete those profiles which are not used any more. Rearranging your network profiles can be a priority for some, as it helps you manage things much better. 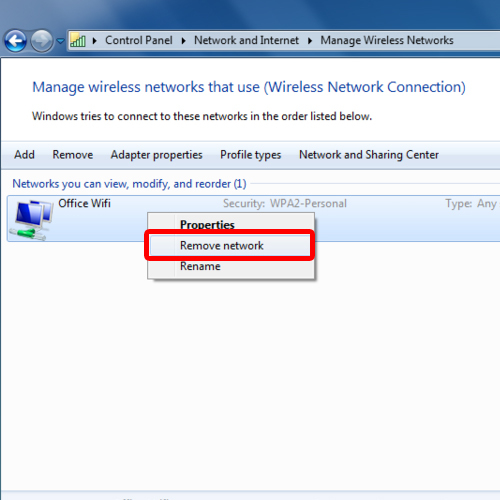 In this tutorial, we will guide you on how to remove a wireless network. To get started on removing a wireless network, first of all, we will need to access the control panel. 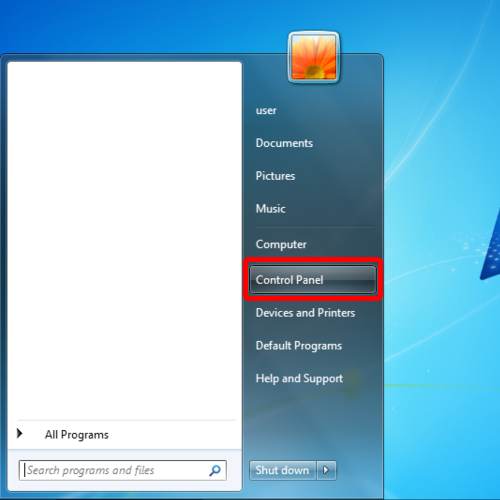 For that open up the start menu. You can do that by pressing the windows key on your keyboard or by simply clicking on the windows icon located towards the bottom left corner of your screen. With that done, the start menu will open up. On the right side of the menu, the control panel option will be located. Click on it to open up the control panel window. Once the Control Panel window opens up, you will see a number of options being displayed right in front of you. Over here, we will move to the network and internet category. From the different options available within that category, click on the “View network status and tasks” option. 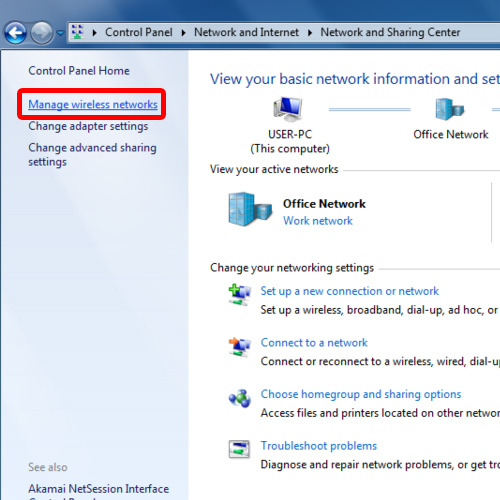 When the “Network and Sharing Center” window opens up, click on the “Manage Wireless Networks” option located towards the left side of the window. With that done, the manage wireless networks window will open up. Over here, all the networks that have been added will be displayed. 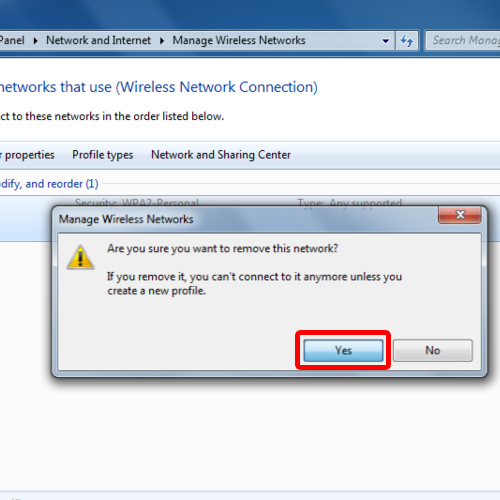 For removing a wireless network, right click on the connection which you want to remove and click on the “Remove network” option from the menu. With that done, a notification window will open up asking you whether you want to permanently remove the network. Click on “Yes” and the network will be removed. And that’s all you need to know to learn how to remove a wireless network.